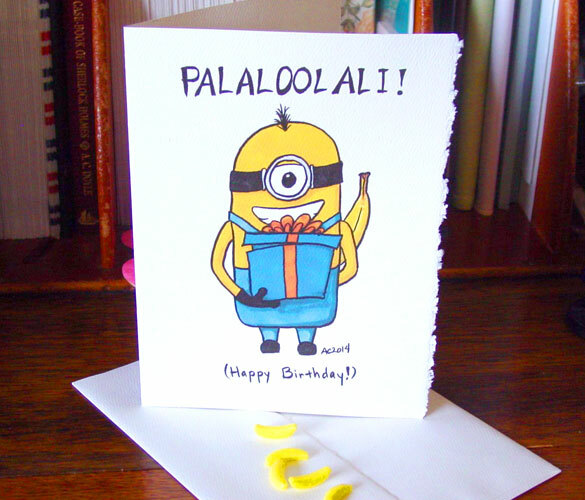 In my continued quest to get ridiculous birthday cards in all my favorite fandoms, I have a Minion for you! 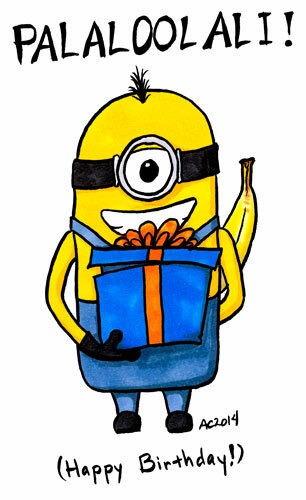 He’s either giving you a gift and a banana, or stealing the banana out of your gift — what do you think, sweet or despicable? For the record, the Minion “translation” is from ye olde googles, so I have no idea if it’s correct or not, but it’s cute so I went with it. Palaloolali! 5″x7″ pen & ink and Copic marker on paper. 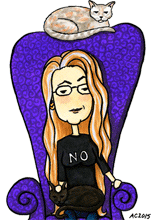 The original will be in May’s Floating Gallery, or you can get a card at any time from my Etsy shop.